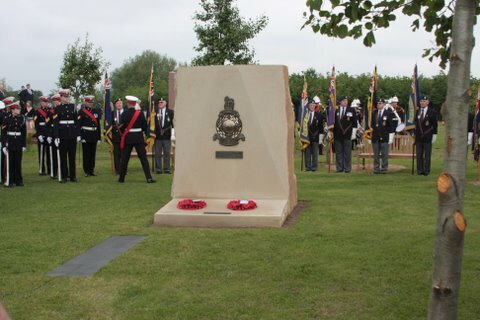 The Royal Marines Association commissioned the memorial at the National Memorial Arboretum in Lichfield, Staffordshire to honour all members of the Royal Marines who have died serving their country. The National Memorial is a powerful place of commemoration, which is continually evolving as the landscape matures and the memorials sadly increase to commemorate those servicemen losing their lives in the fight for peace around the world. It was a special honour and a privilege to be commissioned to design this monument.